Do you wish you had more hours in your day? Are you overwhelmed by your to-do list? It doesn’t have to be this way. You can’t add more hours to your day, sorry but you can learn to manage your time more effectively. Managing your time better is the key to getting more accomplished. Once you learn to manage your time more effectively you will be more productive and amazed at what you can get done. The good news is that it’s not that hard to do. You just need to follow these steps and stay committed. Remember the goal is not to be busy in our lives but to get done what we need to do and use our time wisely. Sometimes people think of time management as only a business thing. While it’s definitely something that I need to work on as a blogger and running my business. It’s not just for business. 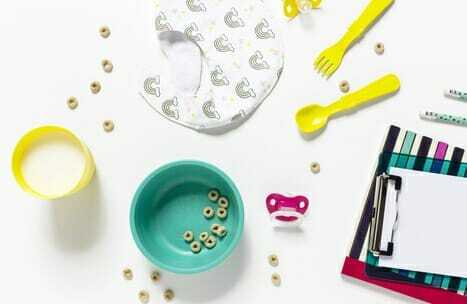 Learning to manage your time effectively will help you out so much as a mom. Whether your kids are little or older like my daughter you could probably use more time. Once you learn how to manage your time better you will not only be able to get done what needs to be done but you may even have extra time left over for you to have fun. So give these 10 time management tips a try and begin accomplishing more in less time. I know you can do it! You might be tempted to skip this step because you already think you know what you want to accomplish and what your goals are. I want you to do this step though and really get clear on what your goals are. If you don’t know exactly what you want to accomplish how are you going to manage your time in order to get it done? If your goals are not crystal clear you will have a much harder time achieving them. So sit down and write down those goals. When I am more clear on my goals they are much more likely to be achieved and the same will be true for you. Now that you know what your goals are you can now be more clear on what your priorities are. The things that are more important to you and are a higher priority need to be done first and are a more important use of your time. Write out everything that needs to be done and then go through and organize it from most important to least important. Then focus on what’s most important. Some things don’t have to be done right away and can wait. Other things need to be done now. Once you know your priorities and what is important to you then you can focus on using your time on those tasks that are important and move you closer to your goals. Not everything is going to be a priority or a good use of your time. This is when you have to start saying no to some things. This will be harder for some of you than for others. Let me be really honest with you it’s perfectly fine to say no sometimes. It may not feel good to disappoint people but they will be ok. Your time is important and you need to use it in the most beneficial way for your life and not what works best for everyone else. When you have to say no to doing something know that people might be disappointed but they will figure it out and it’s not your responsibility to do everything. You won’t be able to achieve your goals and have your best life if you are burnt out doing everything for everyone. So help and say yes when you can and say no kindly and gracefully when something is just not a good fit in your schedule. I really promise it will be ok.
To learn to manage your time effectively it can be very helpful to set up some sort of calendar or planner. You can do this either with paper and pen or digitally. This is really a matter of preference. The point is to use something to keep track of what needs to be done and what you have planned. Personally, I like using Google Calendar to plan things and Evernote to keep track of my to-do lists and any notes I have about things that need to be done. I’ve just found it easier to have everything on my phone or computer. I tend to prefer doing things digitally. If you prefer using a paper planner here are some of my favorite planners that are gorgeous and functional. Give a couple of things a try and figure out which system works best for you and your life. There is no right or wrong choice because we all have unique lives that need certain tools and functions over others. Along with step number three, this may be a hard step for some of you but if you learn to master learning to delegate it will help you get so much more done and be able to accomplish more of your goals and cross off more items on your to-do list. I have found learning to delegate is so important in not only running a business but also to running a home and family. There are just so many tasks to be done that it can be overwhelming to try and do them all without help. When it comes to your home life I think it’s incredibly important that every member of the home has responsibilities and tasks that they are in charge of. Not only is it important that mom or dad does not do it all it shows your children that families work together to accomplish things. You don’t have to do it all and it’s alright to have not only your family participate in getting things done but to also hire people to help with some areas. Whether that means hiring someone to help with cleaning or childcare. It’s OK to delegate some responsibilities to other people. This is such a basic time management tip but one that we too often forget. We need to get rid of things that distract us from getting done the things that we need to get done. This can very often be our cell phones. 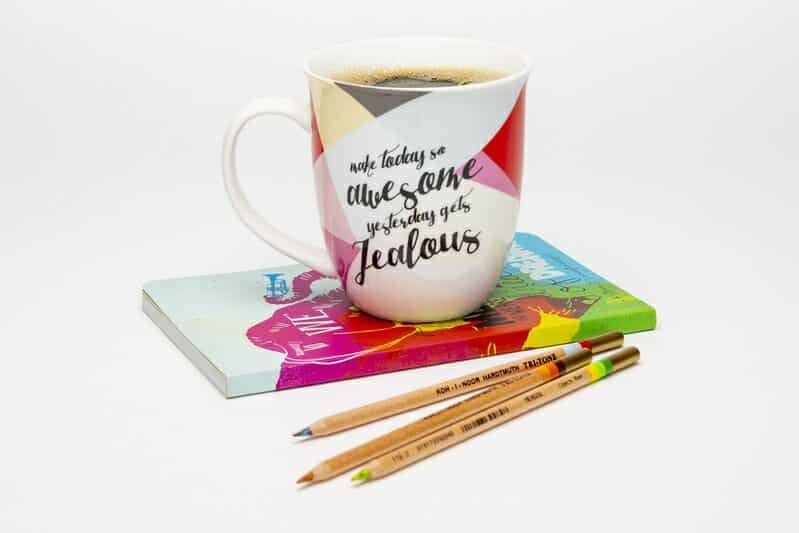 We have them with us at all times and though they can be very helpful for certain things the truth is that they are often a huge distraction and keep us from doing more productive or important tasks. A great way to do this is by keeping track of how much time you spend on your phone. I have the moment app downloaded on my phone and when I started using it I was shocked by how much I was just mindlessly on my phone. There are lots of great apps out there to keep track of this and it’s really helpful in keeping you from wasting time scrolling. While taking care of our homes, relationships, family and careers, it’s easy for mothers to put taking care of themselves last on the list. However, not only is self-care a good idea of physical and emotional health, it’s a good time management tip for moms as well. When we’re tired or haven’t had enough healthy food to function at our best, we’re often less productive and organized, and this lack of clarity can translate into more time wasted throughout the day and less time available to get everything done that needs doing. So remember it is so important to get quality sleep, eat a healthy diet, and follow other self-care ideas, and you’ll be operating at your best and be less stressed. You will learn to better manage your time effectively when you accept that things are not going to be perfect and it’s a waste of time to strive for and chase after a goal that you aren’t going to achieve. You want to create structure and a routine into your life so that you are getting done what needs to be done but you aren’t wasting time and effort with the idea that you can have the perfect home, the perfect meals, the perfect family. It is possible to have greatness and a wonderful family and life but you are wasting time if you are trying to make things perfect. Focus on getting things done and having things the way you like not on perfection. Do you make things too complicated? Give yourself more work than you need to by overcomplicating projects or tasks? If you do you are not alone. there are so many people out there like you doing the same thing. Let’s learn to manage our time more effectively by making things a little easier and more simple. That way tasks no longer take as much time or as much energy. Leaving us more time and energy to get other things accomplished. Well, we already started by learning how to say no more. It will really simplify your life if you are saying no to things you really don’t want to be doing. Leaving you to be working on what truly matters and is important to you. 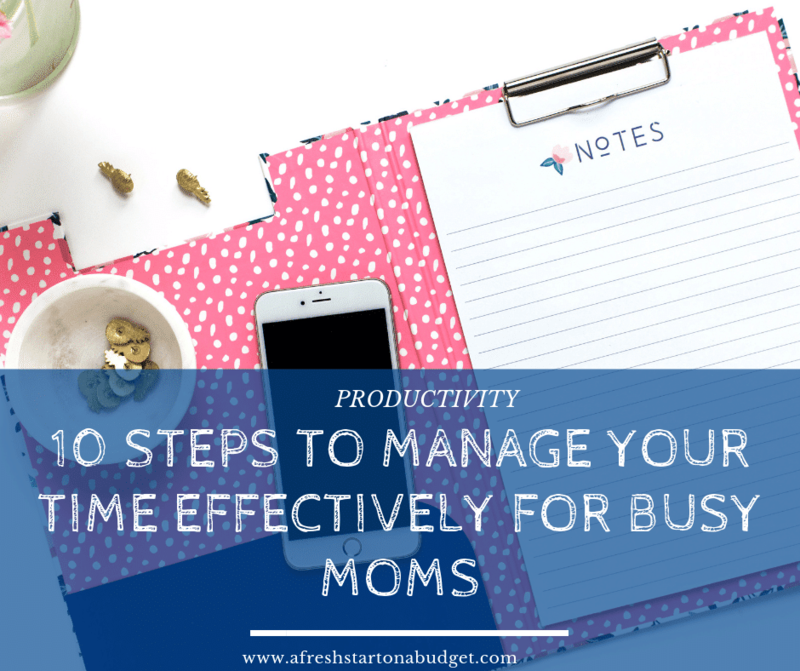 when trying to manage your time effectively as a busy mom you need to realize that things can and should be simplified. So take shortcuts when you need to. Buy precut veggies so you don’t have to spend time prepping, make meals and organization as easy as possible to save time. One of the best ways to manage your time effectively for busy moms is a lesson I learned from the book Eat that Frog. Which is an incredible productivity and time management book. One of my favorites. Basically, you want to do your biggest or most dreaded task first thing. That way it’s done and out of the way. Too often we will fill up our time with those easy to do not so important tasks as a way to avoid the things we don’t want to do. So whatever is your frog, or biggest task, just do that first and get it done with. That way no matter what else you do or don’t accomplish that day at least you’ve done that task. You will no longer need to waste time avoiding that task any longer. It’s finished. I hope that these steps to manage your time more effectively are helpful to you and that once you begin doing them that you notice that you have less stress and overwhelm. That you are able to get done more in your day.